When a brutal carjacking yields a videocamera, a teenage boy decides to document his life and the lives of his fellow gangbangers. 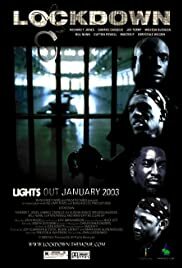 Right - another prison flick. 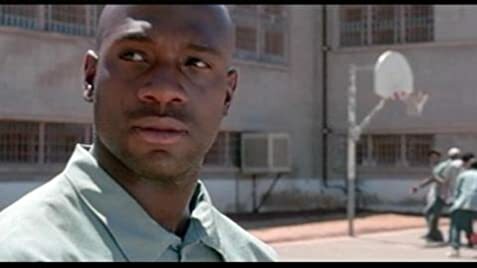 Another movie about a young black man, in this case 3 young black men, wrongly accused of a crime, convicted and sent to prison. The statement behind that injustice is bold enough. It's a bit "Boyz n the Hood" up to that point. Once it hits the prison - there are few comparisons to match some of the intensity (how's that for ambiguity?). This movie has a few valuable segments worth the rest of its deficits. A few scenes may take you to a place you do not want ever to be. There are moments in the prison scenes where the actors are so credible it might as well be real. The directing had flickers of greatness to capture that intensity. But just like that, in a flicker you're back to watching a $2 film worth a penny. Just watch it for the acting and directing behind a few prison scenes that fairly represent "Lockdown".